Grantmasters is pushing the boundaries of microscale with this lovely set of Great War aeroplanes. 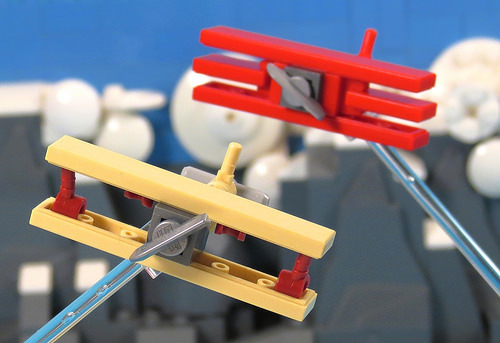 My favorite part of microscale is how much can be evoked with just a handful of pieces, and here the Sopwith Camel and Fokker DR1 are instantly recognizable. The forced-perspective with the clouds and mountains in the background is easily overlooked, but also subtly adds a lot to the scene.